Thanks to the unique geographical features, climate and the formation of community in the mobilizing process of social development through many different periods, all have created Quang Binh a system of natural tourism with wonderful values and attractive destination for any tourists when making their memorable Vietnam tours. 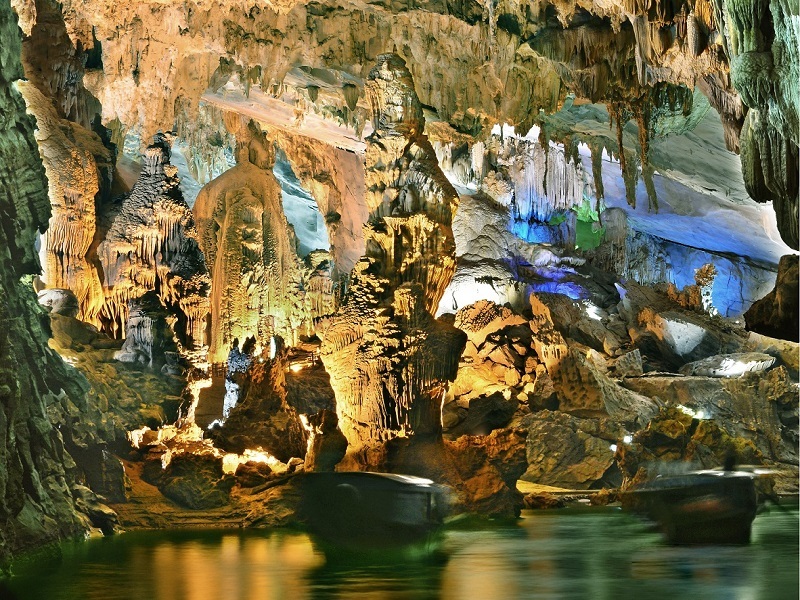 Here are 8 charming caves, 8 tourist pearls of Quang Binh’s tourism. Located in the limestone mountain park of Ke Bang, Son Trach commune, Bo Trach district, Quang Binh province, 50km northwest of Dong Hoi city, Phong Nha cave is considered as “The most beautiful cave of the Asia” surrounded by tropical forests. From Son River, you will need to go more than 30 minutes to Phong Nha cave. With a length of 7,729m, 83m deep, 50m high with many large sub-branches including Bi Ky cave, Tien cave and Cung Dinh cave. This is a type of water cave created underground in the mountains with many characteristic stalactites. Legend has it that the stalagmites rushing down the cave has contributed to the name of “Phong Nha”, meaning “wind through the teeth”. 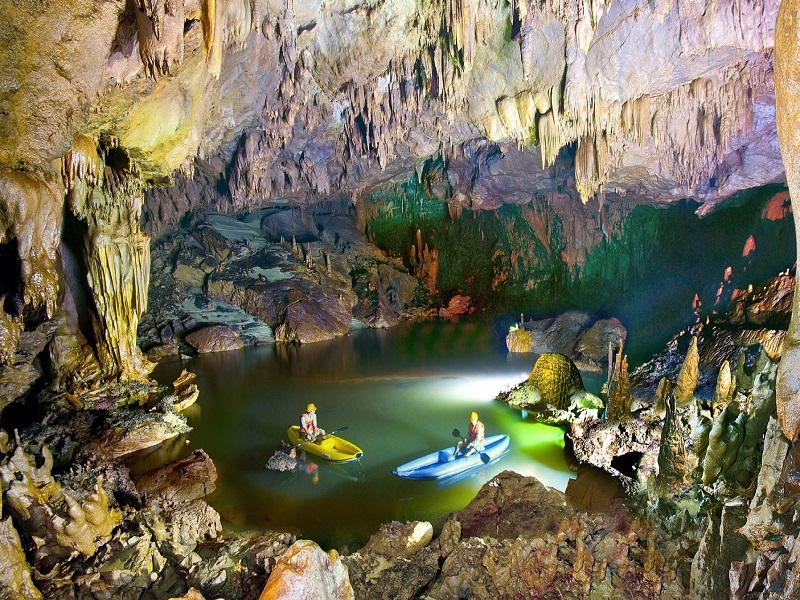 Tien Son or Dry cave is also a famous cave in Phong Nha – Ke Bang area. The road to Tien Son cave is winding on the middle of the mountain, at an altitude of 200m above sea level. The entrance of Tien Son cave is about 1,000 meters from the Phong Nha cave, and was discovered in 1935. 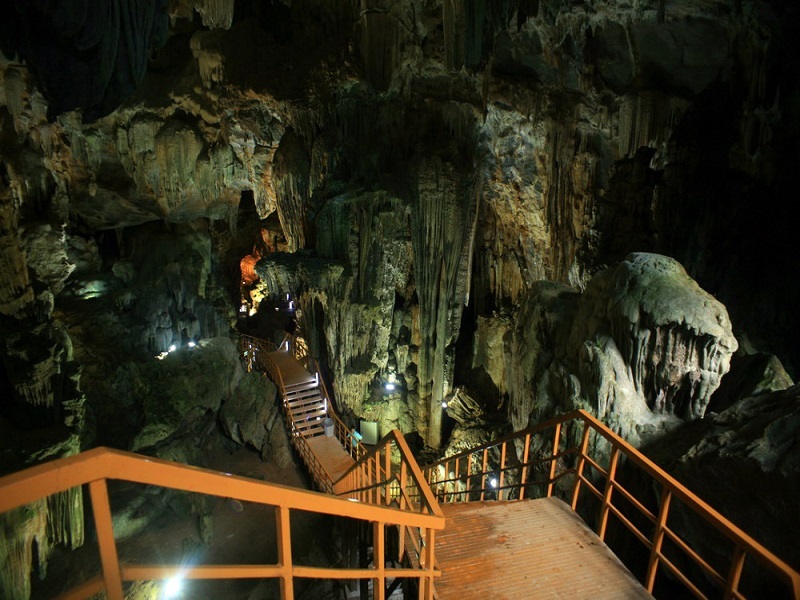 At first, local residents called it Tien cave, due to its mystical beauty. 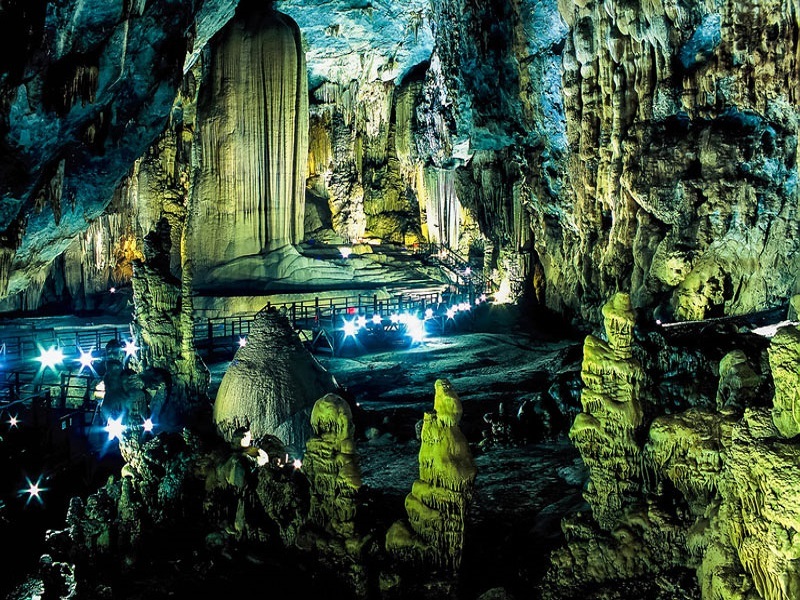 Later, when the Phong Nha cave was discovered, it was called Tien Son cave. Tien Son Cave is 980m long and although not connected, Tien Son Cave and Phong Nha Cave are part of a common cave system. Tien Son Cave is considered as the castle of stalactites with thousands of colorful blocks of stalactites. Dubbed “the palace of the earth”, Heaven cave is one of the most magnificent and magical wonders in the world. 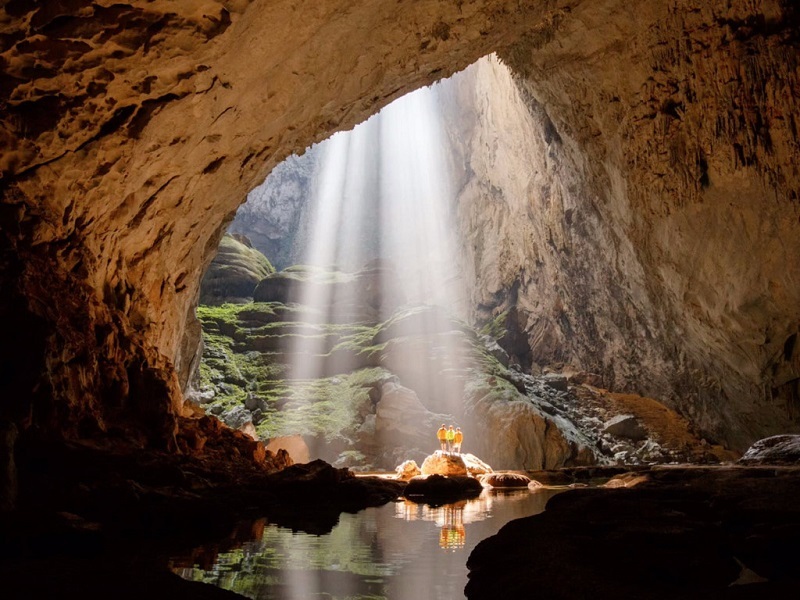 The cave lies hidden deep inside the World Natural Heritage Phong Nha – Ke Bang National Park, in the ancient cattleyed terrain, dating back to about 350 to 400 million years ago. Heaven cave is located at km No. 16 away from the West of Ho Chi Minh Road, about 4km from Son Trach commune, Bo Trach district, Quang Binh province, about 70km northwest of Dong Hoi city. It’s located from Phong Nha cave approximately 25km, the road from Phong Nha cave to Heaven cave is very convenient to go. Dark caves were evacuated very early, during the war against American army and was used by the local people as shelters to avoid bombs. In 1992, the British Royal Caves Adventure Association conducted surveys, mapped and measured the Dark Cave with a horizontal length of 5,558m, a depth of 80m, a height of 50m. The Dark cave has a very strange beauty. Although the name of the cave is Dark but actually not dark at all. The light from the outside cleverly knit into the cave, shoveling the cliffs a little wave of the sun, reflecting the surface of the water shimmering. All as the most beautiful natural painting of the Creator. From Nuoc Lan cave, continue to cross the forest to Thuy Cung cave with strange blue water color. 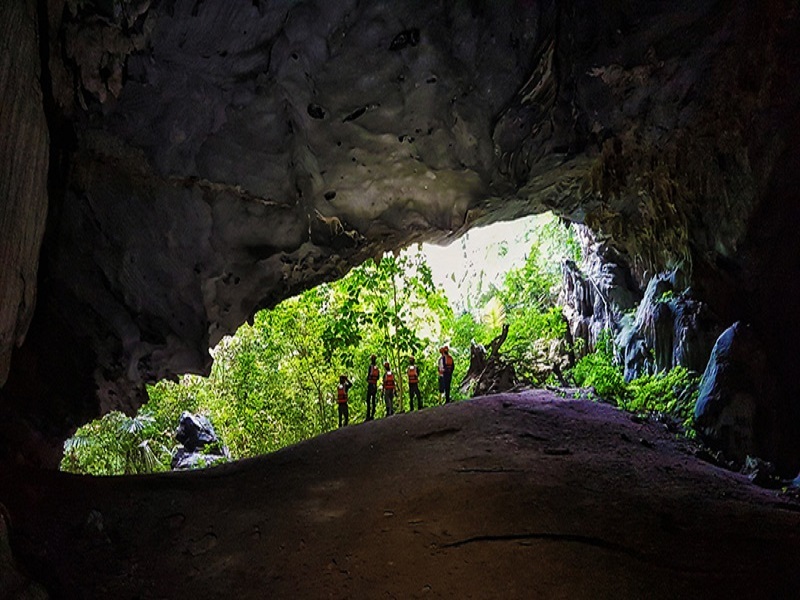 After a night of camping in Thuy Cung cave, morning you will have chance to admire the sunrise shining all over the 2,000ha wide Sinh Ton valley, surrounded by extremely stunning limestone karst mountains and primitive forests. Eight-girls cave is located in Tan Trach commune, Bo Trach district, Quang Binh province. About 55km northwest of Dong Hoi City, this small cave marks the great sacrifice of the volunteer girls during the resistance war against the American army. The story of eight girls who sacrificed their life here may be even more tragic than one in Dong Loc. 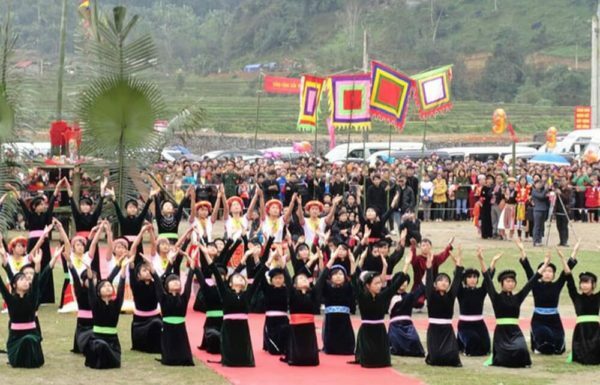 Many people came here did not hold back tears when the narrator told them about the story of the sacrifice of eight young volunteer girls, aged from 18-20, they came here from the same Hoang Hoa district – Thanh Hoa in November 1972. Tu Lan cave system is located in Tan Hoa village, Minh Hoa district, Quang Binh. About 70km northwest of Phong Nha, including 8 caves, was discovered in 2009, in 2012 continue to discover 4 more valleys. Tu Lan cave system has the main cave system, including Tu Lan cave and the other caves: Song cave, O Sao cave, Chuong cave, Hung Ton cave, Kim cave, Ken cave and Co Mat cave. 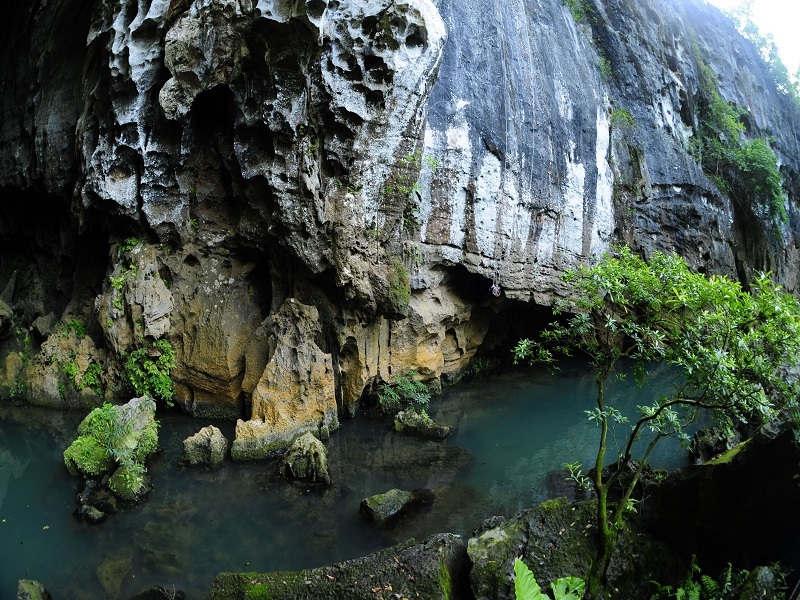 Tu Lan cave system is still unspoilt, capturing the secrets of the majestic nature in limestone mountains, with underground rivers and endless waterfalls. To conquer this cave, you will have to go through the rugged mountains, cross the jungle, walk among the vast valleys, muddy slides, and swim through the rivers while suffering the cold under 20 degrees C. With the magical beauty of stalactites, the mysterious underground river plus wild nature of the mountains will make you forget everything once coming here. Lying in the remote mountains of central Vietnam, millions of years ago, Son Doong Cave is the world’s largest natural cave, discovered in 2009, has stimulated the curiosity of tourists. Guests all over the world coming here to discover and enjoy the adventuring feeling . 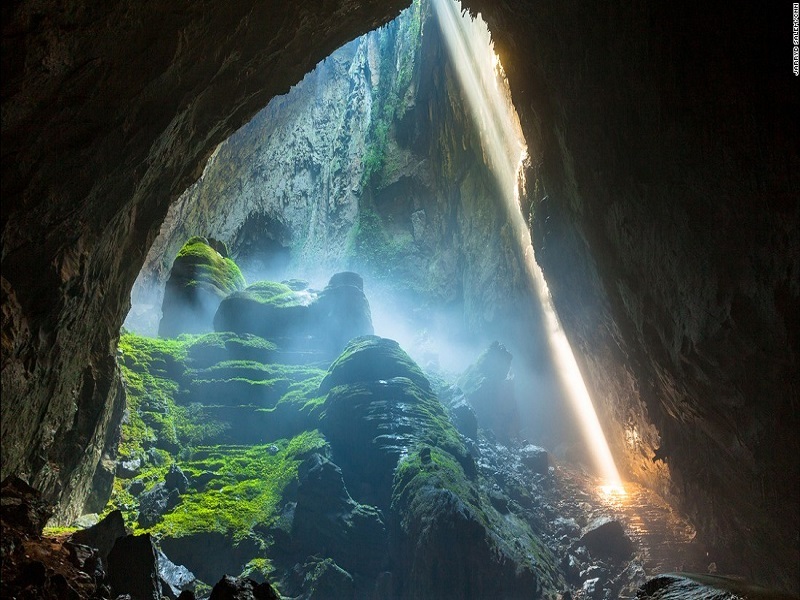 Son Doong has an estimated length of 5km, a height of 200m and a width of 150m. Inside the cave, there is a separate world of organisms, where light passes through the “filters” from the mouths of the upper sinks and clouds that accumulate near the ceiling creating high humidity. The stalagmites in Son Doong rise up to nearly 80m. This deep underground scene shows that the world still has many beautiful landscapes to explore. If you love exploring them by yourself, don’t hesitate to drop by Hanoi tours and get the best for you.